Precision regulation of glucose is important and presents a challenge for Type I Diabetic. 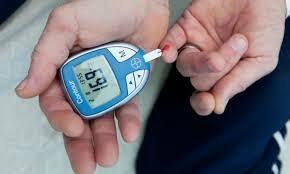 Smart Insulin, which releases according to glucose level represents a significant breakthrough. Both health and quality of life would be improved. Type I or Insulin Dependent Diabetics cannot produce insulin. Type I diabetes typically develops in childhood with the immune system attacking and destroying the cells that produce insulin. The precise cause of this is unknown. (There are probably many causes for this but resulting in the same outcome: the body does not produce insulin) Prior to 1920, this was a fatal condition. At that point, insulin taken from animals was administered, and this was a lifesaver. But how much insulin? (N.B. Strangely enough a Type I diabetic can also have the genetics of a Type II diabetic and thus need more self administered insulin than a plain old Type I diabetic without this genetic tendency; this is largely under behavior control) This is a big problem. 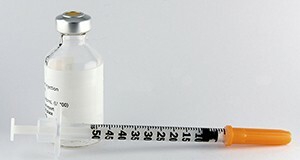 A major function of insulin is to manage glucose – blood sugar. Specifically, insulin carries the glucose to hungry cells, or to fat cells. The body, specifically the hypothalamus, attempts to regulate glucose to a level of 80 mg/dl, about a teaspoon in your 5 quarts of blood. It achieves this by adjusting insulin. Table sugar is half glucose and half fructose. Starch is converted 100% to glucose. Details on the interaction can be found in a recent post : Starch, Sugar, Glucose, and Insulin. This tight regulation is necessary for optimal health. Excess glucose is not good. In a non-diabetic, insulin will soar after a meal in response to the sudden influx of glucose. Once the glucose is dispatched to the various cells, insulin subsides. A type I diabetic does not have this degree of control. There are a variety of dosage protocols. Originally, several shots a day were given. More recently, glucose is measured by a small gadget. A drop of blood is needed for this. Insulin can be administered whether via a shot or by an insulin pump, a small device that injects insulin. While these represent an improvement, glucose is still not all that well regulated. A group at University of Utah School of Medicine recently published a paper entitled “Glucose-Responsive Insulin Activity By Covalent Modification With Aliphatic Phenylboronic Acid Conjugates”, by D. Chou et al. Too bad the title is so awkward, because the result is anything but. What is happening here is that this group has invented a new sort of insulin that detects the local glucose level and adjusts the insulin release to regulate it. This would solve two huge problems. First, if offers the prospect that glucose regulation could match that of a non-diabetic. This would improve health and longevity for Type I diabetics. Second, the glucose monitoring and insulin shots or pump is a major pain in the neck. Or perhaps we should say pain in the fingers, as several sticks per day are necessary to keep on top of the glucose level. The researchers claim the insulin response is equal to that of a non diabetic. If this pans out, this would be a very big deal indeed. 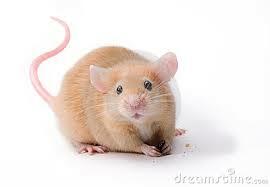 Currently, the researchers are testing the new insulin on mice. So far so good. Insulin is a very powerful hormone and there are risks, so well designed clinical trials are necessary. These are expected to start in 2-5 years.